This listing has upgraded configurations. If the computer has modifications (listed above), then the manufacturer box is opened for it to be tested and inspected and to install the upgrades to achieve the specifications as advertised. If no modifications are listed, the item is unopened and untested. Defects & blemishes are significantly reduced by our in depth inspection & testing. 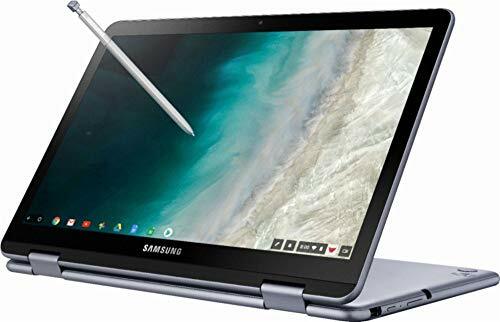 Samsung Plus Convertible 2-in-1 Chromebook: Enjoy precision drawing on this Samsung Chromebook Plus. It starts with an Intel Celeron processor and 4GB of RAM to let you access programs and open tabs, while the included digitizer pen lets you precisely control elements on the screen. A 32GB solid-state hard drive ensures this Samsung Chromebook Plus has plenty of space to store files and folders.